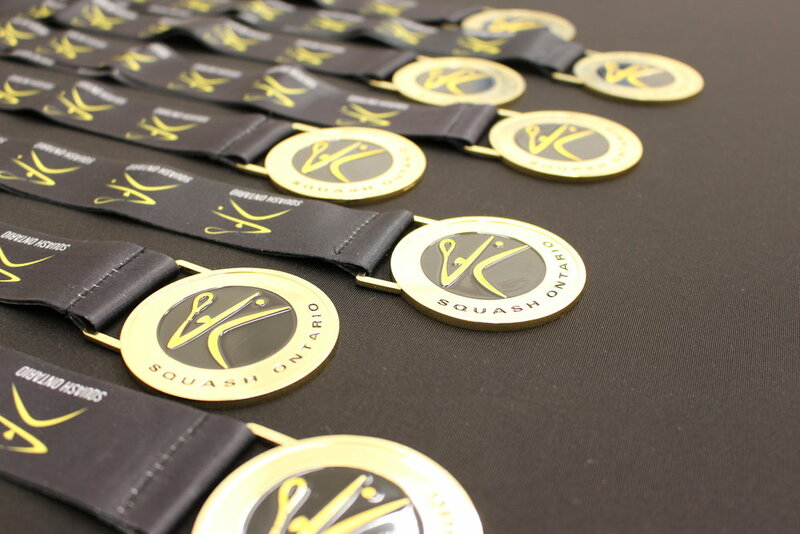 The Ontario Closed Championships is one of Squash Ontario’s largest events of the year and this past weekend was no different. 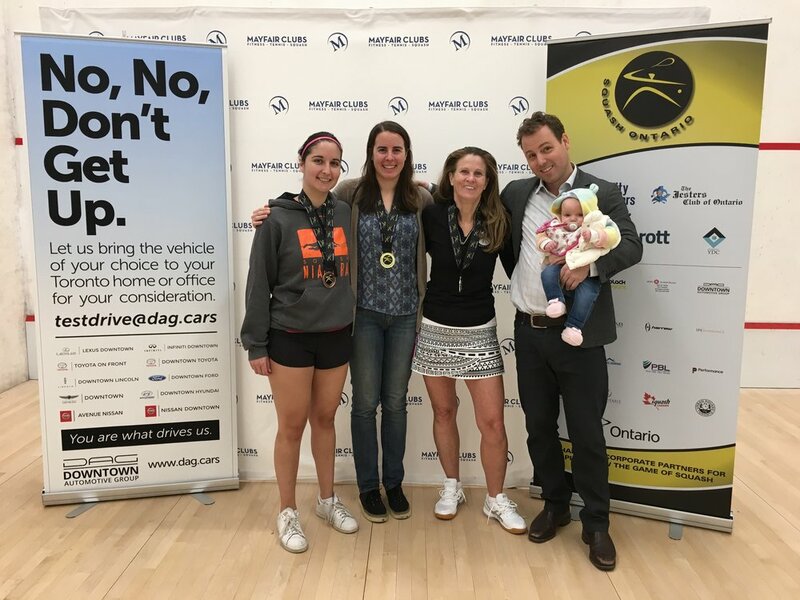 Mayfair Lakeshore welcomed close to 140 participants throughout the weekend highlighted by the largest and most talented women’s divisions we’ve seen in recent history and the top athletes in the country battling for $5,000 in prize money. 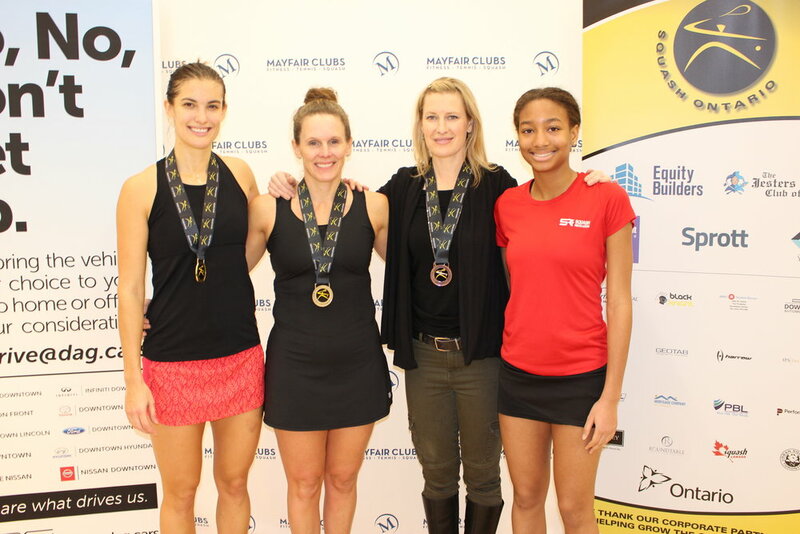 In the Women's Open, Sam Cornett claimed her 4th Ontario Closed Championship over finalist Seanna Keating (2018 Ontario Open champion) who fought off a barrage of top juniors on her way to the finals. 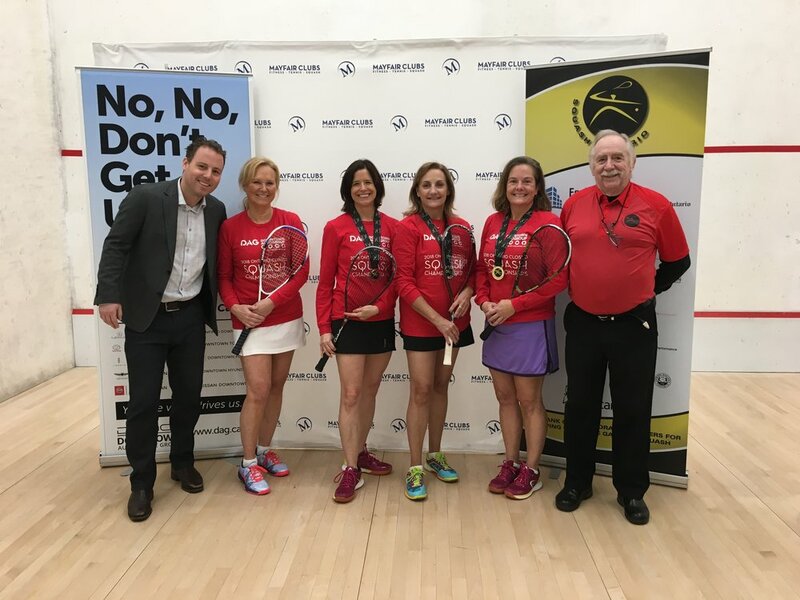 Canadian legend Melanie Jans returns to the spotlight to bring home the bronze medal after defeating top junior Brianna Jefferson in a tight five gamer, while Marnie Baizley grinded her way to a 5th place finish. In the Men's Division, new Ontario resident Graeme Schnell of Alberta fended off Elora’s Cameron Seth in the final claiming his first Ontario championship after a disappointing injury took hold of Seth in the fourth game of what had been a world class display by both players to that point. Third place goes to Blake Reinson who defeated Ahad Raza in four games, while Neel Ismail led a talented group of U19 juniors in this draw by placing 5th. 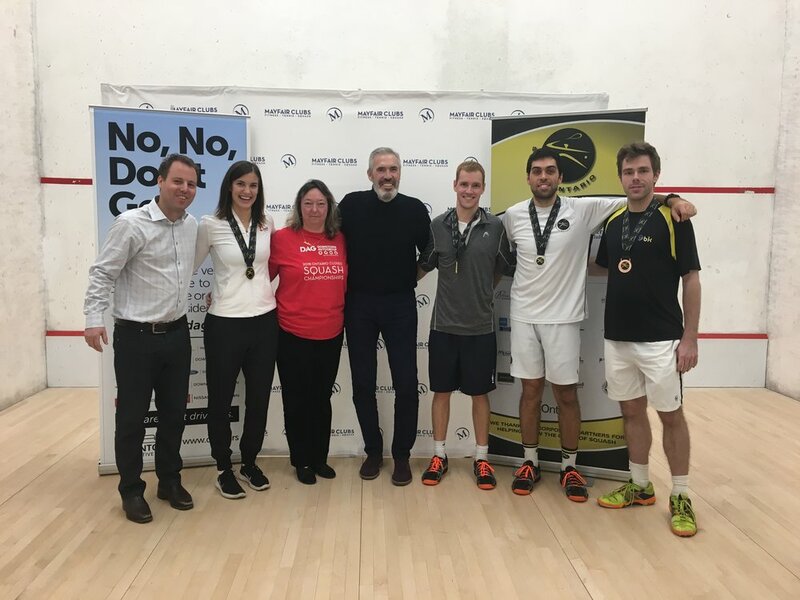 Congratulations to all division winners: Alex Ford (Men's A), Michelle Craig (Women's A), Mohammed Salemwalla (Men's B), Lauren Grimaldi (Women's B), Sam Shin (Men's C),Karren Budden (Women's D), and David Carroll (Men's D). 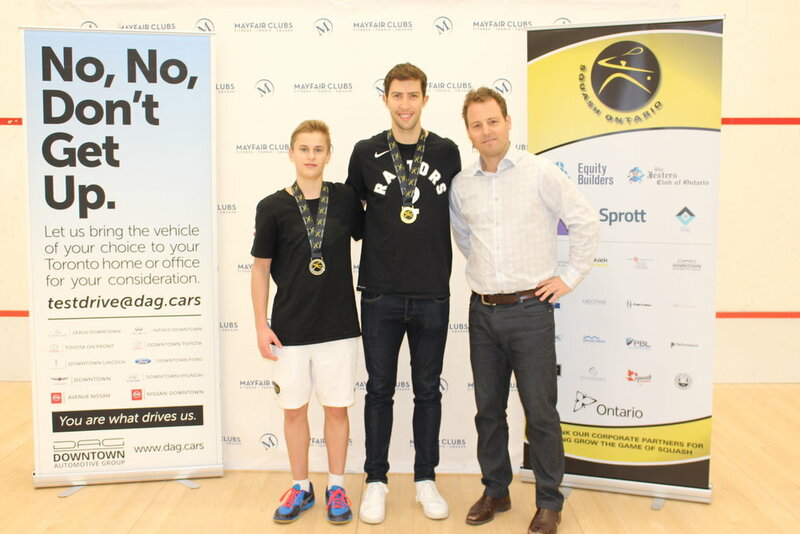 Squash Ontario thanks Downtown Automotive Group for their support of our hard working squash athletes and the Mayfair Lakeshore team of Cole Osborne, Darlene Holland and Bruce Tubbe who continually prove Lakeshore to be a world-class tournament venue. In addition, Steve Flude, Tournament Referee, and his team of officials this weekend provided a smooth and enjoyable event for all participants. See below for full results and photos.